Golden Artist Colors has enjoyed the privilege of collaborating with artists to make highest quality professional art materials. That same collaborative process has produced a new, thoroughly modern watercolour called QoR. QoR [pron. ‘core’] retains the best qualities of traditional watercolours while expanding the range and versatility of each colour. 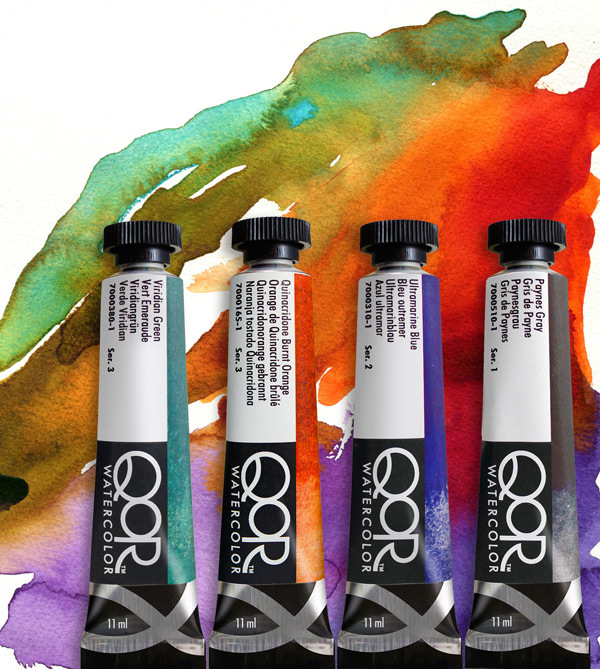 QoR’s exclusive binder provides more pigment in every brushstroke, offering a strength, range and versatility unmatched in the history of watercolours. The unique QoR formulation accentuates the luminosity and brilliance of pigments even after drying. It provides the subtlety, transparency and flow of a great watercolour, with colorus that have as much vibrancy and fire as the best acrylic or oil paint. – Vibrant, intense colours that stay brilliant even after they dry. – Exceptionally smooth transitions, flow and liveliness on paper. – Excellent resolubility in water and glazing qualities. – Vivid depth of colour with each brushstroke. – Greater resistance to cracking and flaking. 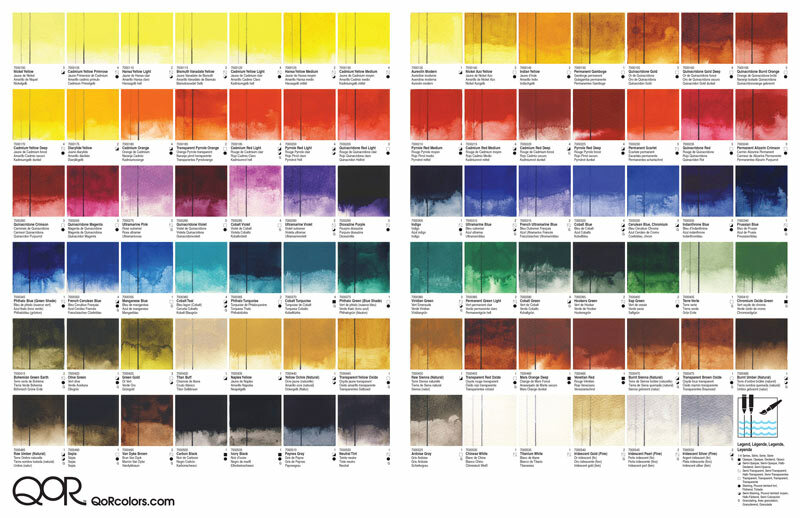 – More density of colour than traditional watercolours. – Exclusive Aquazol® binder used in conservation.